Push your applications to the next level - forget bitmaps - use vector elements. And use your favorite vector drawing application to achieve the best results. The diagram above shows how it is possible to import 2D vector drawing from almost any drawing application into WPF, Silverlight, Windows Phone and Windows Store apps - by converting it to xaml with ViewerSvg or Paste2Xaml. WPF applications can use Ab2d.ReaderSvg or Ab2d.ReaderWmf libraries to import the data at runtime. 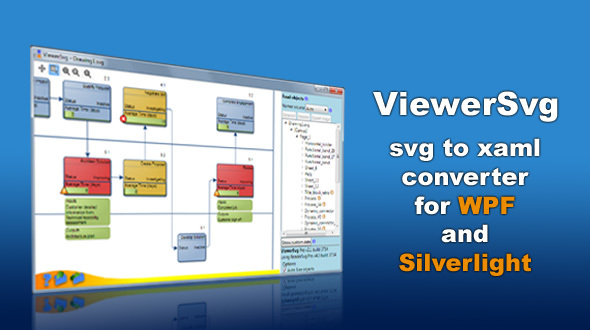 ViewerSvg is a svg to xaml converter for WPF, Silverlight, Windows Phone and Windows Store apps. It is using the Ab2d.ReaderSvg library that imports objects from svg or svgz and can export them into XAML for WPF or Silverlight. ViewerSvg and Ab2d.ReaderSvg come with many samples that demonstrate how easy is to use svg files in WPF and Silverlight applications. 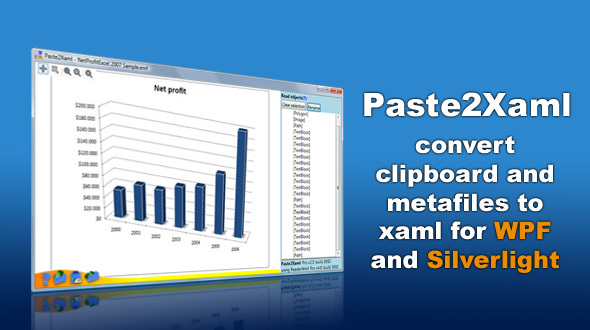 Paste2Xaml is a WPF application that can read Windows metafiles (wmf), Enhanced Metafiles (emf) or get matafile objects from clipboard and can convert them into xaml. It can also export embedded images that can be used in exported xaml. It is using the Ab2d.ReaderWmf library that imports metafiles at runtime and also defines controls that can be used in xaml. More screenshots and sample images about Paste2Xaml can be found in its section. For runtime usage notes see ReaderWmf section. ZoomPanel is the ultimate zoom control for WPF. 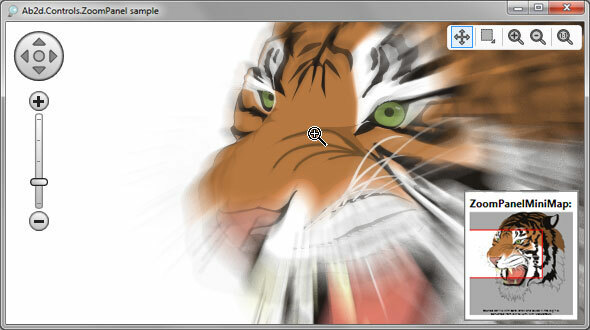 It provides powerful and animated zooming and panning capabilities to any WPF application. It also contains ZoomPanelNavigator and ZoomPanelMiniMap controls. Also check out the Links section for links to free online svg and metafile libraries and svg editors.